At the All Star Game Commissioner, Gary Bettman and Deputy Commissioner Bill Daly held a press conference to chat about the pressing league issues. The main topics were player and puck tracking (which is going to be awesome), CBA negotiations, and the scoring increase and parity in the league. One thing that wasn’t touched on was rules of the game. Recent rule changes like the change in goalie pads, the implementation of a 2-minute penalty for a failed offside challenge, and if we go back a bit further, the trapezoid have impacted the game heavily, but there are still many things the league can do to improve the sport as a whole. That’s where I come in. If you don’t know much about me my favorite part of all of sports is the rules. I love sports rulebooks, maybe even more than I love the games themselves. I’ve read the NHL rulebook cover to cover three times and I intend on doing it again every single offseason that I cover hockey. In doing so, my mind is always triggered to minor and major rule changes I’d love to see enacted by the NHL. Today, I present five, starting with the least invasive one and moving up to the crazier ones. When a period ends with a team on the power play, the face-off to open the following period should be taken from the offensive zone of the team on the man advantage. Currently, all start of period draws are taken at center ice. Normally, that would make sense, but when a team is on a power play, the end of the period is actually a bonus to the team who committed the penalty. It’s a free zone exit when the game-clock hits 0:00. Why? Instead, if there is still time on the power play clock, the draw should occur in the offensive zone, like how most power plays start. It’s a simple rule change, and it makes way too much sense not to enact as soon as possible. For the purpose of offside, the blue line should act as a vertical plane. In order to enter the zone properly, the puck must fully cross the blue line before every player. To determine this, the league uses players’ skates physically touching the ice. It leads to many incredibly close calls along the blue line in which even on super slow-mo we can’t tell when the player lifted his foot. Throw that in the garbage, instead, view the blue line like the endzone in football. If any portion of a players body (with the exception of their stick) is even with the vertical plane created by the blue line they will be determined to have not yet entered the zone. It will make calls on the ice easier for linesman and it will make reviews much easier for the Situation Room in Toronto. It’s a simple change and will be a bit tricky to write into the rules, but it’s a good change that will help the game in the long term. I’m fine with either of the two options being enacted but I’m partial to the first one. Why let a team off the hook when they’ve committed a penalty? The best power play in the NHL scores at just under 30% where the worst is converting at 13%. Thus, the chances that a team scores twice inside of a two-minute penalty remains fairly low. But, power plays are the most exciting time of a hockey game (aside from 3-on-3 OT), so why cut them short? The other option is to enforce icing. It doesn’t make much sense as to why the rules change in a favor of a team who has committed an infraction. Oh, you screwed up, we’re going to penalize you, but also change the rules so it’s not as bad. WTF? It would make penalty killing much more difficult, which would increase the number of PP goals, and it would encourage coaches to remove their goalies more often on power play situations as teams would no longer be able to simply shoot the puck at the empty net without fear of repercussions. This is one that should probably be enacted in every sport in North America as it is a better way to reward regular season success. Here’s how it would work. The two conferences would still have the eight playoff teams selected the same way they currently are (top three by division and two wild cards). Each conference would only be allowed to play teams in their own conference until the Final. The division winner in each conference with the highest number of points will select their first-round opponent from any of the seven teams that have qualified for the playoffs. Then, if not selected by the previous team, the other division winner would get to select their opponent. The team with the highest point total that has not been selected would pick next until all four matchups are completed. The same process would occur in the second round as well allowing the team with the most points of the four remaining to choose from the other three. For example, here’s how it would have looked last season. Imagine the TV show that would come with the selection of the teams before each round. The hatred teams would have for each other in being selected as the “easier” opponent. The fodder it would make for blogs, talk radio, and TV stations to discuss which matchup would be best for their respective teams. It would be amazing. Plus, it does the most important thing North American sports fail at, it raises the value of the regular season. In the end, the only major change is with overtime losses, as they would become a detriment, not a benefit. It would devalue the shootout, which is necessary as shootout is stupid. Like the current system, where games can be worth two or three points, this system allows games to be worth zero or one total points in the standings. Here’s how the Pacific would look using this scoring system. For reference, Tampa Bay would be leading the league with 49 points. Vegas would have amassed 46 points all of last season, but still would have won the division. The biggest change in this system is the change in value on losses. A regulation loss is devastating and an OT loss is far from ideal. Currently, an OTL credits a team positively. We’ve all become so accustomed to it that it’s not even weird anymore, but think about that, a loss… is good. That shouldn’t be. I understand how radical of a change this system would be, but it makes way more sense than the current one. Plus, crazy point swings could occur in short periods of time making teams feel closer to the race than they do in the current system. Here’s an example. Say the Kings were to win three straight games while the Canucks were to lose three in a row in all in regulation. LA would move up to -2 points while Vancouver would move down to -6, a 10 point swing in a matter of a week. Under the current system, that swing would only be six. The proverbial “four-point game” would actually literally become a four-point game for division matchups. It emphasizes winning and punishes teams for losing, isn’t that what we want? The current system is messed up and the Ducks are living proof. They’ve lost nine more games than they’ve won, and they’ve won three of their 21 in shootout. How is 18 actual wins vs. 28 losses a good thing? Yet, under the current system, the Ducks sit just one point out of playoff position! Anaheim has 51 points in 51 games. Meanwhile, Columbus, who have won 28 of their 48 games have just 59 points. Columbus has lost only 20 times, while Anaheim has lost 30 and CBJ is just eight points ahead of ANA. In my system, CBJ would have 20 points while ANA would have -10. That’s a 30 point difference, which makes much more sense considering how well Columbus has played and how poorly Anaheim has. Finally, hockey already uses negative numbers in its stat keeping in regards to +/-. This is simply bringing +/- to the standings. No other league has anything even close to this, but what other league rewards a team for losing? Cool article!!! I really like #4 or at a minimum go back to old style of #1 vs #8 conference style. Rule #5, just continue 3 on 3 until someone scores, eliminate shootout as team sport not skills competition. The playoff draft would be the best. Once on league does it others will do the same. The NHL would get credit for doing it first. I would very much be in favor of rules #1 and #3 and also agree that 3 on 3 should be played until a team wins…..there should be no points for the losing team. The shootout was fun in the beginning, but it has run its course. Return to the old format of #1 vs #8……the draft idea is a fun one and certain would up the intensity from game game. 5- No points for OT losses makes sense. i would also like to see a slighter bigger ice surface to allow for more speed, passing, skating , and puck possession. i would also like to see a shorter season, playing into june is just plain STUPID. I really like #1 and #2 and think they could realistically be implimented. 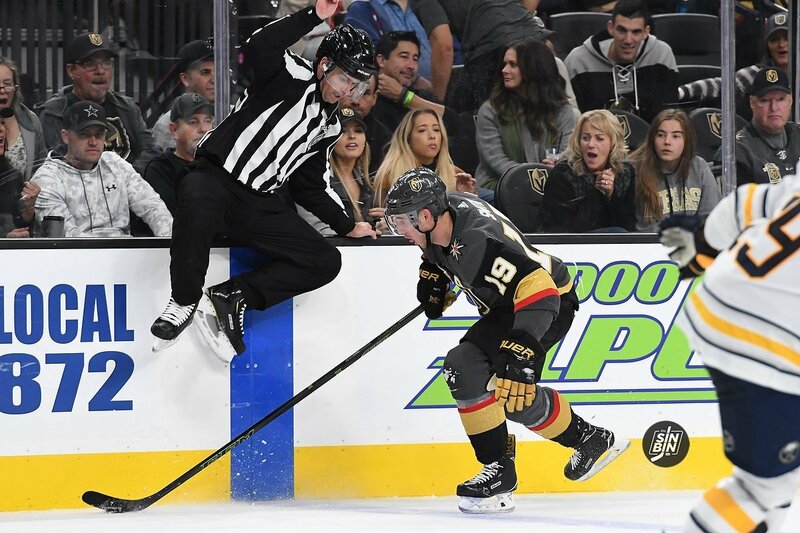 #5 – This is too confusing and different from what fans are used to both with hockey and other sports, but I’ve long felt improving the current scoring system as it relates to the standings is one of the biggest issues that the NHL isn’t addressing. I don’t understand why they don’t keep it simple and make it similar to soccer. 3 points for a win (Reg or OT), 1 point for OTL, and 0 for a loss. Or, if they are especially concerned about teams playing it safe for OT points, 3 points for reg win, 2 points for OTW, 1 point for OTL, 0 points for reg loss. Any big reasons I might be missing as to why they these options wouldn’t work? I like Rule #2 and half of Rule #3. Actually, my idea for Power Play icing is that if the penalized team ices the puck, play is stopped, the puck comes back to their zone, BUT they can do a line change. Rule #1: I’m not sold, but I could go with it. Rule #4: I hate it. Part of the fun of the regular season, especially the last couple of weeks, is seeing who will play whom in the playoffs. I also have an idea for draft picks: All teams that don’t make the playoffs have an EQUAL chance of winning the draft lottery EXCEPT the last place team, which gets NO entry in the lottery. This would force teams to play till the end and not tank. 1) Don’t care for that one. What if the team that is down a man is on the offensive zone? Should you start the period where ever the puck was last. Leave it at center. Don’t need to overthink it. 2) Absolutely. Just make sure you have plenty of cameras. 3) No and Maybe. You have that with a major penalty. There should be a difference between the two infractions. You could enforce icing, or maybe you would have to get it out of your zone before sending it down. This is really just a way to inflate scoring. A better way would to actually call cross-checking. They finally started to call slashing correctly, and you saw more power play opportunities. You probably wouldn’t have much of an issue with this one if you wrote for a team like Tampa, that knew how to run a power play. 4) This seems hokey. You are just forcing drama. Go back to how it was. Better yet, do what the NBA does. Winning your division only gets you home ice in the first round. Say Winnipeg and Calgary are your division winners, but Nashville has more points than Calgary, Nashville would be the 2 and Calgary the 3. It is a true 1-8 in each conference and if the 2 best teams are in the same division, they don’t have to play each other in the 2nd round. 5) No, just no. This makes things worse. Every game should be worth the same number of points. That is the problem we have now. Three point games: 3 for a regulation win, 2 for an OT or Shootout win, 1 for an OT or Shootout loss, and 0 for a regulation loss. An OT win should not count as the same. 3 on 3 is a gimmick, a fun and entertaining gimmick, but a gimmick nonetheless. Love #1&2. Hate #3&4. And for number five I just would tweak it a little bit. Personally you should get two points for a win and then includes a win in overtime. Or shootout. You should get zero points for loss and that includes a loss in overtime. The only way you get the one point is if it goes to a shoot out and you lose. I like most of these rule changes, but in the case of rule 1, remember that it’s also an advantage to be on the power play on fresh ice. Also rule 5 could be confusing to fans and I don’t think that’s what the NHL wants. I’ve been saying the penalty kill icing rule should changed for years. And I love the playoff draft, that needs to happen ASAP! So faceoff is a whatever. Not sure it’s a big deal or big difference maker. Offside idea is weak. If it’s hard to see a skate cross what chance is there of seeing all body parts. This doesn’t make it easier but much harder. I’m not sure what your experience is playing but in the heat of the game knowing where one part of your body is, is a lot easier to manage when skating full out. This doesn’t work for the players or the linesmen. I’m indifferent to the full two minutes but I suspect it would have a negative effect. With extended penalties, special teams would see more ice time which would result in lower contributions during regular time or special teams wouldn’t be used as much which would reduce the effectiveness of the power play. I don’t see a playoff draft working because it reduces the chance of divisional rivalries. First plays last, how can if get more lopsided? The point system only works on a balanced league. You have to account for weaker divisions and conferences. The schedule favors more games in your division, then conference, then league. A team that can dominate a weaker divisions gets full points. A tight closer game between two matched teams results in less points through no fault of there own. Two point for win, one point for OT loss, no points for shootout loss. Call me crazy but why not just do it like the three other major sports? You either win or you lose. Doesn’t matter if it’s regulation or extra time (possibly only as a tiebreaker for standings). I would prefer to see 4 on 4 until you score in OT for regular season AND playoffs. Shootouts are lame and a buzzkill to the end of a great game. The playoffs are such a physical grind. You see double and triple OT games and teams never physically recover. 4 on 4 would help reduce without looking like the 3 on 3 all star game. 5.I love the point system change ,, Just half to be adding asterics to alot of stat and history books with the change… !!! !